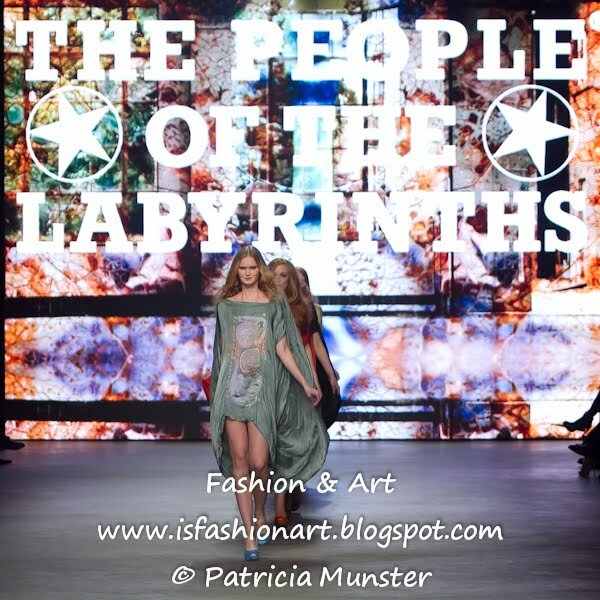 The opening night of the 18th edition of Amsterdam Fashion Week on Wednesday the 23rd of January was presented by ‘iNDiViDUALS’ and ‘The People of the Labyrinths’. 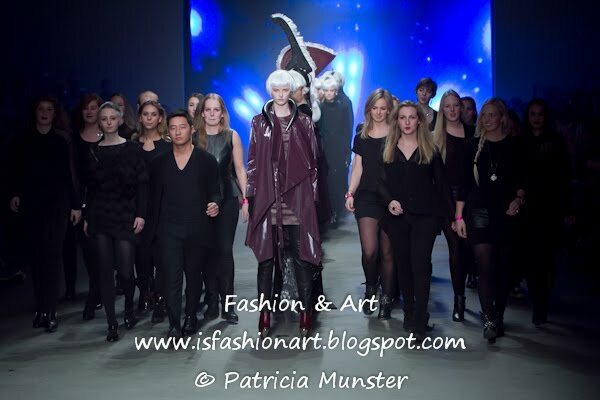 During these opening shows, made possible by principal sponsor Vodafone, the invitees witnessed acclaimed collections by promising fashion students and by an internationally renowned Dutch fashion brand that showed for the first time on Dutch ground. The opening show by ‘iNDiViDUALS’ was characterised by ELEMENT. This Autumn/Winter 13-14 collection is formed by intelligent details, a uniform, dark colour palette and asymmetrical lines. 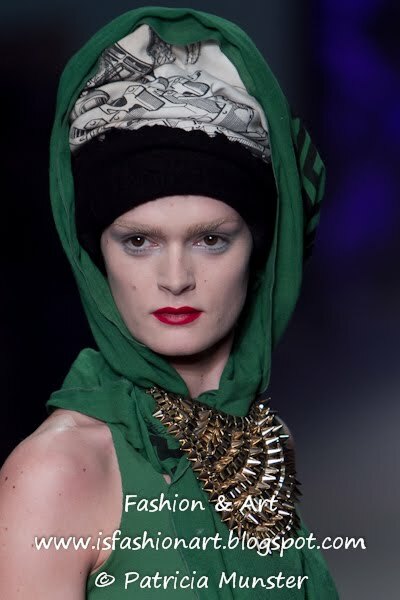 Each design made its own statement, with a self confidence that strengthens the wearer. A modern selection of fabrics shape an armour, with chrome highlights that create protection. 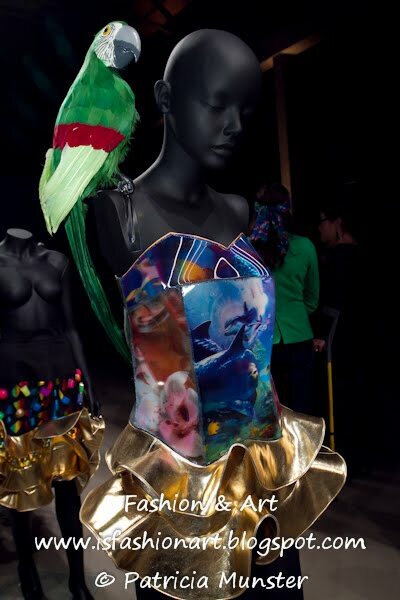 iNDiViDUALS is an initiative of Amsterdam Fashion Institute (AMFI) and the Hogeschool van Amsterdam. 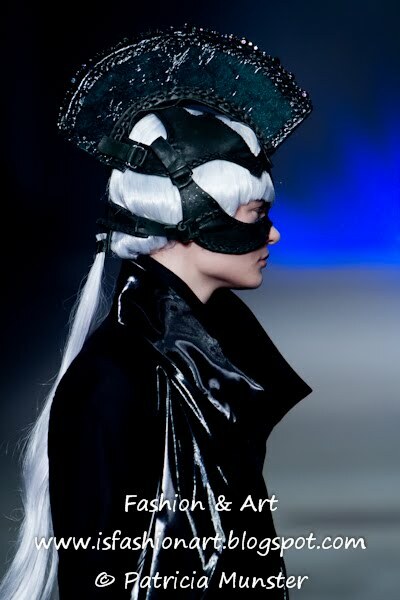 iNDiViDUALS is a platform for fashion creativity and for new fashion talent of AMFI. Twice a year, a new generation of fashion designers adds a chapter to the iNDiViDUALS story. A seasonal collection is produced and presented in selected stores throughout the Benelux. 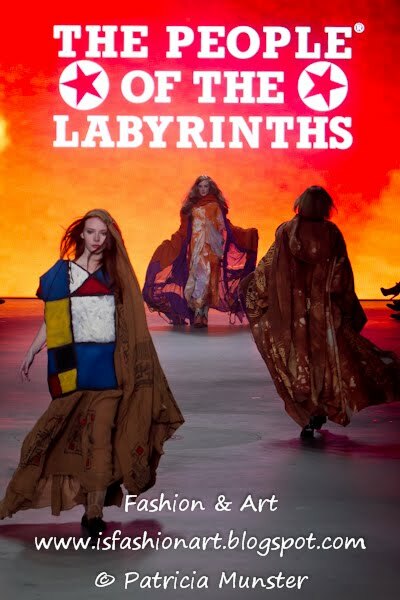 The show was composed of three acts of which the first allowed the public a glance in the archives of The People of the Labyrinths. Subsequently, the successfull Dutch brand showed its new summer collection 2013 named ‘Magic’. The new collection enticed the public into a fairytale, that excelled in choice of materials, beautiful colours and ditto design. As the last act, The People of the Labyrinths showed A-maze. With this collection on the hand of Lonneke Demoed, they aim at tough young girls. This new collection is produced entirely in Italy. 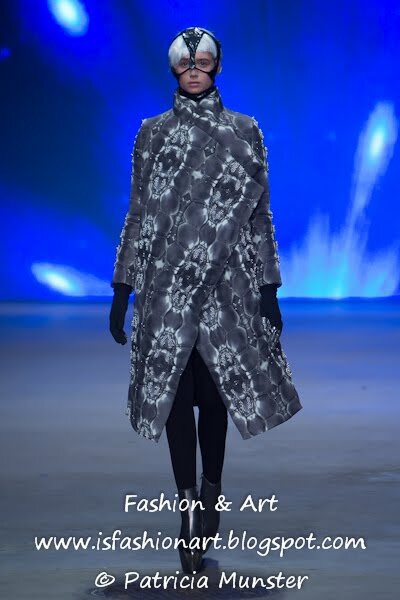 After Hans Demoed and Geert de Rooij completed their studies in 1983 at the fashion department of the academy of arts in Arnhem, the Netherlands, they started a company specialized in styling and fashion design. 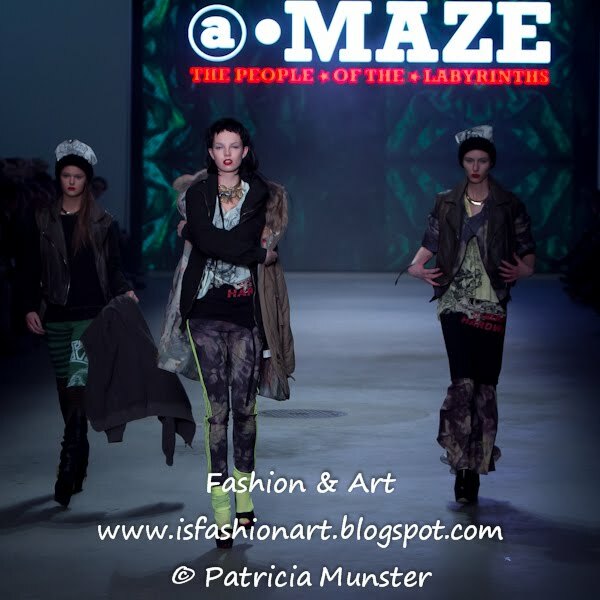 Their fascination for antique labyrinths and modern ones (e.g. microchips and fingerprints) has been a great inspiration for their work. Labyrinths are seen as metaphors for a society more and more structured and yet inaccessible and elusive. The label The People of the Labyrinths reaches a small, but loyal public. Carlo Wijnands, Programme Director of Amsterdam Fashion Week, explains the selection of these two fashion brands: “I have chosen iNDiViDUALS because this brand stands for creative business, an exploring style and the combination with education. The deciding factor for my choice for The People of the Labyrinths was its luxurious craftsmanship with an iconic value. During opening night besides the shows Jacob Kok presented his search for treasure island in an ongoing presentation.